The U.S. biosimilars statute, the Biologics Price Competition and Innovation Act (“BPCIA”), was enacted in 2010 as part of the Affordable Care Act. Nearly six years later, the number of reported decisions addressing the statute can still be counted on the fingers of two hands, but this has been enough for some clear patterns to emerge. Just as the BPCIA’s procedures are known as a “patent dance” between the biosimilar applicant and the innovator, the development of the case law can be seen as an industry-wide dance, with biosimilar applicants and innovators each moving in unison to take consistent, but diametrically opposed, positions on a series of fundamental issues concerning the operation of the statute. As a result of these disputes, the basic framework for BPCIA patent litigation has taken shape – at least until the next generation of biosimilars applications raises new issues. The BPCIA patent dance is an elaborate set of information exchanges between the biosimilar applicant and the innovator that begins when the FDA accepts a biosimilar application for review. In the first round of biosimilars litigation, spanning 2013 and 2014, a number of biosimilars makers tried to speed up the statutory process by filing declaratory judgment actions challenging the innovator’s patents before their applications had been accepted for review, and therefore before the patent dance could begin. These efforts did not succeed. At the district court level, the pre-application declaratory judgment actions filed by biosimilar makers were dismissed on two separate grounds. First, the courts held that before the acceptance of an application there was no justiciable case or controversy under the Declaratory Judgment Act and Article III of the Constitution. Second, they reasoned that the BPCIA itself prohibited applicants from bypassing the patent dance by filing early declaratory judgment actions. In the one case that made it to the Federal Circuit, Sandoz v. Amgen, 773 F.3d 1274 (Fed. Cir. 2014), involving a proposed biosimilar version of Amgen’s Enbrel, the Federal Circuit affirmed dismissal of the declaratory judgment action on justiciability grounds without reaching the statutory question. Although the Federal Circuit said it was not “adopting a categorical rule” that no case or controversy could be demonstrated before an application is accepted for review, biosimilar applicants appear to have taken the hint. Since 2014, no biosimilar maker has filed a pre-application declaratory action and the new applicants to have their applications accepted for review have instead proceeded directly to the patent dance. Pre-application declaratory judgment actions seem to have been abandoned. Although biosimilar makers cannot preempt the patent dance before it happens, subsequent case law holds that they may skip it once it is supposed to begin. After the rejection of their early declaratory judgment actions, biosimilar makers next argued that the patent dance was optional, and that they could choose not to participate in it if they were willing to risk being sued on any patents. This argument arose in a different dispute between Amgen and Sandoz, involving Sandoz’s biosimilar version of Amgen’s cancer drug Neupogen. At the time of the dispute, the biosimilar application had been accepted for review, thus triggering the statutory patent dance procedures, but the applicant Sandoz claimed the right to opt out of the patent dance. The innovator Amgen then filed suit asserting that the BPCIA required biosimilar applicants to participate. In Amgen v. Sandoz, 794 F. 3d 1347 (Fed. Cir. 2015) (not to be confused with the Sandoz v. Amgen case discussed above) a divided Federal Circuit panel agreed with Sandoz and held that the patent dance is optional. Though recognizing that the language of the BPCIA is mandatory, the majority reasoned that since the statute identifies the consequences of non-participation in the patent dance – namely, being subject to suit by the innovator and being prevented from bringing a declaratory judgment action – these consequences are the sole remedy for failure to participate and the applicant may choose to accept them without further penalty. The Federal Circuit denied en banc review of the decision and Amgen recently decided not to file a petition for a writ of certiorari. As a result, the law appears settled for now that the patent dance is optional for biosimilar applicants. In other words, biosimilar applicants can decide not to initiate the statutory information exchanges so long as they are willing to be sued by the innovator and forego their ability to file a declaratory judgment action. In Amgen v. Sandoz, the parties also disputed the meaning of the 180-day notice period prior to commercial marketing that is called for by the BPCIA (42 U.S.C. § 262(l)(8)(A)). 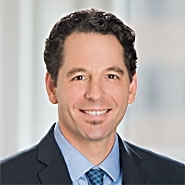 Celltrion and Hospira raised the same dispute in a case involving their proposed biosimilar of Janssen Biotech’s drug Remicade (in which our firm, Patterson Belknap, is counsel for Janssen). The biosimilar applicants argued that this notice could be given at any time, even if the proposed biosimilar product had not yet been approved for sale, so that the 180-day period could run while the FDA was still reviewing the application. The innovators contended that the notice was ineffective unless the product was already licensed – that the notice provision created a 180-day window after approval for adjudicating patent disputes and potential preliminary injunction motions. The Amgen v. Sandoz panel held (unanimously on this issue) that an effective notice of commercial marketing could only be given after a biosimilar product has been approved for sale. Accepting Amgen’s argument that the 180-day notice provision provides a “defined statutory window” for resolving outstanding patent disputes, the court reasoned that this purpose could not be fulfilled if the biosimilar applicant could provide notice at any time and cause the 180-day period to run concurrently to the FDA review process. Sandoz moved for en banc consideration of this issue but the Federal Circuit denied review. Sandoz has requested an extension of its time to file a writ of certiorari on this question, so it is still possible that the Supreme Court will take up the case. If it doesn’t, Amgen v. Sandoz will remain the controlling authority on the meaning of the BPCIA’s 180-day notice period. In Amgen v. Sandoz, the majority concluded that unlike participation in the patent dance, providing a 180-day notice was mandatory and could be enforced by an injunction prohibiting marketing during the 180-day period. Since Amgen v. Sandoz, there has been a dispute between biosimilar applicants and innovators regarding the scope of that conclusion. Biosimilar applicants have argued that the Federal Circuit’s holding is limited to situations where the biosimilar applicant, like Sandoz, decides not to participate in the patent dance. They contend that when the applicant agrees to participate in the statutory process, the 180-day notice period is optional, just as the patent dance is under Amgen. Last December, in yet another case involving Amgen, this one against Apotex concerning the cancer drug Neulasta, Judge James I. Cohn of the Southern District of Florida rejected this argument and held that the 180-day notice period is mandatory under Amgen v. Sandoz whether or not the biosimilar applicant participates in the patent dance. Judge Cohn reasoned that the purpose of the 180-day period, as explained in Amgen v. Sandoz, is to provide a “defined statutory window” after approval to assess and resolve outstanding patent disputes, and that this “defined statutory window exists for all biosimilar products that obtain FDA licenses, regardless of whether the subsection (k) applicant complies with” the BPCIA’s patent dance provisions. Based on this conclusion, Judge Cohn issued a preliminary injunction barring Apotex from entering the market until the conclusion of the 180-day post-approval time period. The same issue is pending in the Hospira/Celltrion v. Janssen case. Apotex immediately appealed Judge Cohn’s decision to the Federal Circuit. Because it involves a preliminary injunction, the appeal is being heard on an expedited schedule. It will be fully briefed by February 12, 2016 and is likely to be decided by this summer if not sooner. As the above discussion makes clear, BPCIA litigation so far has been characterized by a series of industry-wide disputes in which biosimilar applicants and innovators have successively taken consistent, but opposite, positions on the meaning of the statute. Through resolution of these disputes the basic framework for BPCIA patent litigation has taken shape. Although more disputes will undoubtedly arise in the future, particularly as biosimilar applicants begin to challenge newer biologics that are still protected by the statutory twelve-year exclusivity period, the fundamental questions about the operation of the statute are well on their way to being resolved.